On the streets of Tunisia, the fading chants of Tunisian poet Abu al-Qasem al-Shabi still echo, “When people decide to live, destiny shall obey, and one day…the slavery chains must be broken.” The phrase lies in the Tunisian national anthem and provides the surrounding quintessence of the Jasmine Revolution. This intensive campaign of civil resistance began in December of 2010 and has become to be widely known as the success story of the Arab Spring. The revolution not only removed long-time dictator Zine el-Abidine Ben Ali from power, but also inspired similar actions throughout the Arab world. However, in recent times, economic conditions – which were a major push factor for the revolution – have changed little. Thus, the state continues to face adversity in the democratic transitional process. 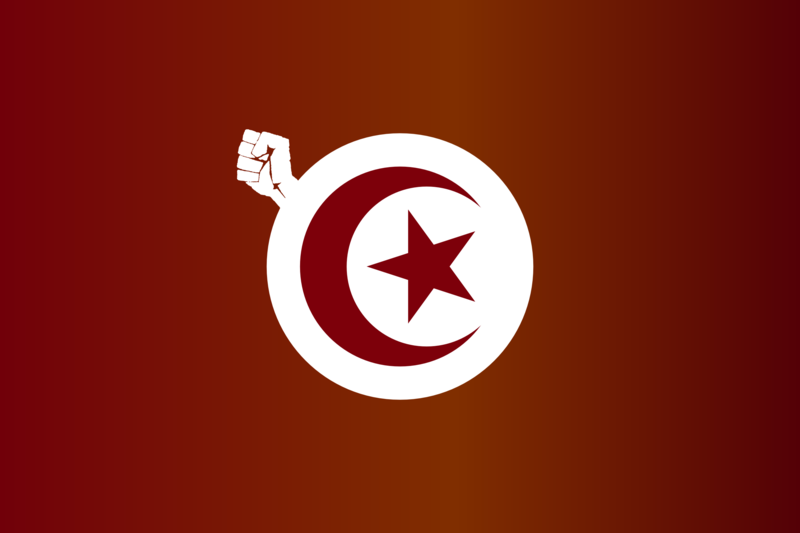 This article seeks to explain the Tunisian (Jasmine) Revolution and its impacts, and assesses the recent protests that came five years after it five years following. The post-revolution period has come with poor economic conditions, uncertainty in all fields, and irregular political violence. The demanding question then is: should we be worried about the threat this poses to lasting democratic success? Threats to democracy and substantial political pressure from the public plague the situation with uncertainty, but this revolution is already strategically successful, and will remain so if certain conditions are met. Its success is not all black and white however, and its causes do not solely lie in a political crisis like many assume. Political pressure is still evident today, and it would be right to emphasize socioeconomic factors as the root cause to the issue. Yet, it is impossible to separate the political sphere from socioeconomic conditions. After the revolution, the excluded public supposedly made their way into the political stage, and in order to satisfy the needs of the public, they must stay there. The political realm must have legitimacy. To ensure this, socioeconomic rights of the public must be reflected in policy. The issue here in this transition period can be marginally explained by comparing the Tunisian revolution with the Egyptian revolution. While Egyptians blamed post-revolution problems on the particular regime in power (the Muslim Brotherhood), the Tunisians saw the democratic system and its ineffective coalition-producing characteristic (in this situation) as the issue, instead of the new coalition government itself. It is usually true that new democracies see week political parties, like in Tunisia’s case, but the people need to accept that democracy is the only game in town. Some other key question that encompass the post-revolutionary transition are the role of the youth in the political realm, their civic engagement, and what as changed for the rights of women. Despite the Tunisian youth playing the major role in the revolution, very few young people have become entrenched in formal political parties. They may associate politics with deceitfulness and corruption or as an elite-only sphere. A moderate political party that appeals to the youth is key to addressing continuing issues, rather than the older and richer Tunisians capitalizing on these political opportunities. Young Tunisians have created a wide range of associations on political education and job-creation, but these revolution leaders were not sufficiently organized to make an alternative political discourse in the midst of the democratic transition. Therefore, this expression is limited. In addition to the issue of limited youth involvement, the political situation is polarized with the role of Islamic law in the modern secular state. Within this context, women are struggling to find a common ground. They have become increasingly engaged in the debate, but a united identity is needed among the prominent ideological differences in Tunisian society. Reluctantly, this reframing looks optimistic in the future as Article 27 of the new constitution clearly promotes the equality of men and women in a newly reformed Tunisia. Recently (22 January 2016), Tunisia declared a national curfew after protests in Kasserine province regarding economic conditions took place. According to Tunisian researcher Lamine Bouazizi, “It is only normal that this social anger explodes.” It encompasses this frustrating feeling among the people of not benefiting from their successful contributions to Tunisia in the revolution. These economic hardships come with the harsh decline of the tourism industry since the infamous terrorist attack at a coastal hotel. The government is faced not only with this security problem, but also with a possible reach of austerity measures in a job-lacking country. Thus, protests are to be expected, but how large of an impact will they create? This uncertainty casts a shadow on the revolution but does not change what already happened. The worst of the counter-revolutionary actions was in the reverberation of the assassination of Mohamed Brohmi in 2013, and this does not closely reflect that situation. It is clear that these security and economic issues further weaken the already internal intertwined complications of Tunisia’s government, and the near future is dark. It may take time, but the inclusive demand-meeting aspect of the Tunisian political realm is plausible. This revolution is a dimly-lit beacon of hope that shines across the Arab world, but it is not just the same actor in a different costume. The Arab spring is situational, not uniform, and Tunisia has reached the thin line of success, but no further yet. Honwana, Alcinda. African Arguments : Youth and Revolution in Tunisia. London: Zed Books, 2013, 71. Henry Off is a fourth year student pursuing a Joint Honours degree in Political Science and World Islamic and Middle Eastern Studies. His particular area of study is conflict and democratization in the Middle East.